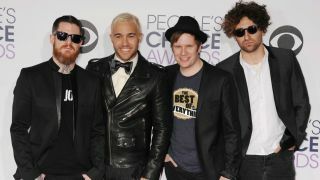 From their beginnings as an angsty emo four-piece from Illinois at the turn of the millennium, Fall Out Boy have released six studio albums, two live albums, one compilation, EPs and 21 singles. With their often-ambiguous lyrics and playful videos, they’ve become stalwarts of pop-punk, even with their recent shift towards stadium-ready pop-rock. We asked bassist Pete Wentz and chief lyricist for a run-through of his favourite tracks, from the hits to the ones that almost didn’t happen (listen here on Apple Music). Visit Fall Out Boy's official website for more info.